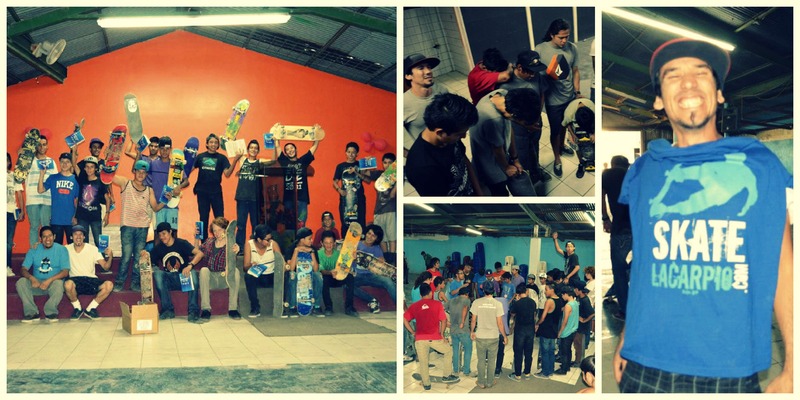 Revolution Skate Ministry!! Check out our new Video!!! This is a time when we can say God is faithful … He takes your dreams and skills.. and begins to co-create with you …. The skateboard in our country … is raising up a big influence, that goes beyond.. one that only Jesus can give!!! It is very exciting to see how the pieces are finally getting together. These last two months have been a time to believe and cling to the call that God has given us to be an influence on the sport of skateboarding, through different events, skate clubs and building relationships with different organizations …. One thing that was very cool is that three weeks ago a church in La Carpio (poor community in San Jose) which we have been involve and creating skate clubs on the streets, visiting this kids and sharing God love to them , surprisingly this church open the doors for once a week, we can come with this kids to have a skate church, around 40 kids come every Tuesday to roll their skateboards and listen to the word of God …we believe God has called us to serve each of these kids … without expecting anything from them … only see their lives being transformed by God love and Skate . ← Life is An Echo..